It's Always Sunny In Philadelphia Season 4 Episode: 7 - Who Pooped the Bed? It's Always Sunny In Philadelphia Season 6 Episode: 7 - Who Got Dee Pregnant? It's Always Sunny In Philadelphia Season 10 Episode: 5 - The Gang Spies Like U.S. 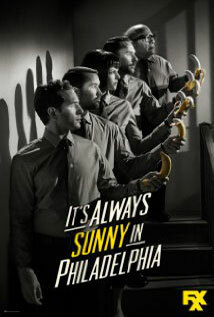 It's Always Sunny In Philadelphia Season 12 Episode: 6 - Hero or Hate Crime?